Small specialist manufacturers have a great deal to offer. Their products are often more creative, more focused and more appropriate to the needs of a rapidly changing market. But big companies can do just as well, if not better, in other ways. Think of the vast engineering resources available to the giant multinational Yamaha brand, a name behind everything from the wood veneer on Lexus automobiles and luxury swimming pools to powerboats and high performance motorbikes. A specialist Yamaha design team can call upon engineering resources unimaginable to the small specialists, but this alone doesn’t guarantee a great product. At worst it could end up as a terribly fudged, designed-by-committee, lowest-common denominator compromise, while at best it may turn out to be an engineering tour de force and a breathtaking, epoch-making design in its own right. To be frank, Yamaha has done both over the years, but the 2008 Soavo-1 fell into the latter category. Toshiyuki Kita has designed many successful products for German, Italian and Japanese manufacturers – you can see his work everywhere from the New York Museum of Modern Art to the Centre Georges Pompidou in Paris. His styling for the Soavo is beautifully done, and its woodwork exemplary. The birch veneer cabinet (with Open-Pore finish) uses the same material as Yamaha’s finest wood-grain pianos, and comes in a choice of dark brown birch, brown birch, natural birch and black birch finishes. The cabinets of these (£2,000 when new) loudspeakers have non-parallel sides to reduce standing waves, and internally the woofer and midrange sections are divided by a slanted partition, and strengthened with large, vertical ladder-type bracing. The three-way mitred construction of the cabinet joints is said to ensure extremely tight joints so the entire cabinet behaves as a single unit, and diecast aluminium stands are fitted that provide the necessary solid floor contact. The drive unit array doesn’t look anything special, but the ‘Advanced Polymer injected Mica Diaphragm’ midrange cones are said to be extremely light, rigid and sturdy, while the ‘Poly-Methyl-Pentene’ woofers are claimed to be much lighter than either paper or polypropylene. The tweeter is a 3cm aluminium dome with a fully integrated diaphragm/voice coil structure that Yamaha calls the ‘DC-Diaphragm’. Diecast aluminium baskets are claimed to ensure solid support for high stiffness, and the hand-carved wooden port aperture is shaped for optimum airflow. At the top of the front baffle, a diecast aluminium tweeter plate is used to isolate the tweeter from cabinet vibration. Edgewise-wound ribbon wire voice coils are used, and the spider is a high performance model from Kurt Müller. The crossover is said to use the highest quality parts, including Solen metallised polypropylene capacitors and large hollow centre coils with carefully selected wire. No printed circuit boards are used, instead each connection is individually soldered on a thick wooden board, providing larger, shorter signal paths. The speakers are biwirable, but interestingly Yamaha optimised them to be monowired, and this is how they were used for this review. Vital statistics are 349x1051x487mm, and 27kg apiece. Fairly efficient and valve-friendly at 89dB sensitivity, the Soavos sound wonderfully alive from the word go, with superb tonality and no quacky or honky coloration. These are transparent in the best ‘monitor’ sense of the word – they just sound natural. Moving up to the treble region and struck hi-hats are superb, almost as crystalline and pure as the best ribbon tweeters. There’s a delightful metallic sheen. Down at the other end, there’s a strong, fluid bass that doesn’t sound in the least bit ‘out of puff’. Most satisfying of all is the way the bass melts invisibly into the midband, which dissolves invisibly in to the treble. In other words, the Soavos are brilliantly integrated. This was the key to these Yamahas – they have a lovely tone from top to toe. All the drivers present a highly united front, and it’s not like listening to three speakers in one. The result is that you can switch recordings and hear dramatically different sounds. With tonality and integration already major plus points, the next feather in the Soavo-1’s cap is imaging. The big Yamahas throw out a wonderfully expansive stereo image, so much so that when toed in slightly they pretty much disappear into the air. Again switching from one recording to another simply moves the walls of the recording studio around in the room. At high levels they are relaxed about the vast amount of air they’re being asked to move, there is not one jot of compression or strain, and the midband and treble remain totally unflustered by what the bass drivers are doing. A highly capable loudspeaker then, and one I could happily live with even after serious exposure to top electrostatics or big monitors. The Soavos are just plain great at everything – they’re as musical as they come at the price, yet impressively neutral and transparent in the best monitor tradition. They’re remarkably insensitive to the genre of music you choose, seeming to excel with almost everything you throw at them. 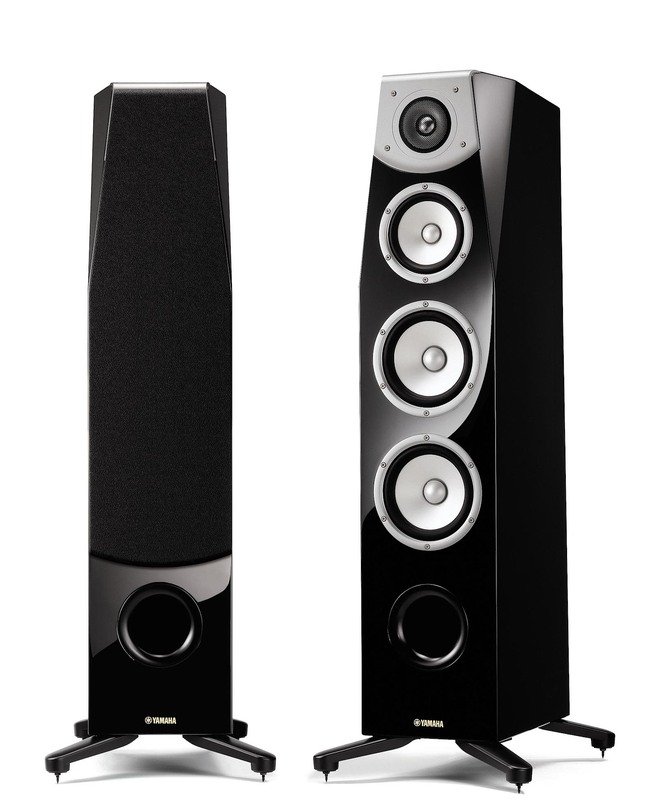 They seem excellent in all conventional hi-fi senses (imaging, dynamics, detailing, etc.) yet don’t sound like they were born in the laboratory – quite the reverse, as they love to boogie. Very fine all round musical instruments, I can think of few other floorstanders as desirable.